> Family Law > Divorce > How Much Is My Divorce Going to Cost Me? These factors can affect how cheap or expensive your divorce will be, explains our Littleton divorce lawyer. Contact us for experienced CO divorce representation. The nature and complexity of your marital assets – Do you and your partner agree on what makes up the marital assets? If the marital assets are being disputed (because one partner is trying to claim separate assets as marital property or because one party is refusing to acknowledge that certain property constitutes a marital asset), it will take more time to resolve property division issues. This will usually increase the costs of divorce.Similarly, if couples share a lot of complicated assets (like those associated with businesses, those in other countries, etc. ), again, the property division process will be far more complicated and will take longer (likely contributing to higher divorce costs). The nature of your marital debt – Do you and your partner have a lot of debt that you acquired during the marriage? Have you not yet filed for bankruptcy? If not, figuring out how the debt responsibilities are to be split will be far more complicated (when compared to situations in which couples have minimal to no debt). This too can spur a jump in divorce costs. Whether there are already agreed-upon issues – Have you and your ex already agreed on certain issues, such as who will keep the home or who will be responsible for what debts? 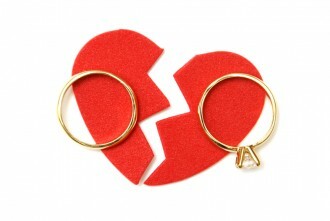 If so – and if there are little to no other disputed issues in the divorce case, the costs of divorce can usually be reined in and minimized.In contrast, however, the more issues that are at dispute, the more likely it is that divorce costs will increase This is because there will be a lot more to figure out during the course of the case, and longer divorce cases usually mean more expenses. Whether compromise is possible – Even when there may be a lot at dispute in a divorce case, if both parties are willing to work with each other and move towards a resolution, the costs of divorce can be kept low. In fact, if people are able to avoid some common divorce pitfalls and work out all of their issues in mediation (i.e., outside of court), they can minimize the expense of their divorce, generally obtain better outcomes and move on with their lives sooner. When you are ready to move forward with divorce, contact a Littleton divorce lawyer at Bahr, Kreidle & Flicker. Since 1983 ,we have been aggressively advocating our clients’ rights to help them successfully resolve their family legal issues. Our lawyers know how serious and devastating the impacts of divorce and other family legal issues can be. That is why they are committed to advocating people’s rights and helping them resolve their divorces as favorably and efficiently as possible.